During my university years, I used to frustrate my parents by throwing away egg yolks and eating only the whites. No worries, I thought, as my parents just didn’t know enough to realize that I was reducing my risk of heart disease by avoiding cholesterol. Looking back, I’m sure that my parents were wondering how I could so easily toss away precious egg yolks that they were able afford only a few times a year when they lived in Korea. Today, I am grateful to have a better understanding of the relationship between cholesterol and health. How about you? Are you afraid of having high cholesterol? Are you throwing away egg yolks because you think they’re bad for your health? Are you taking cholesterol-lowering medication or considering starting on one? 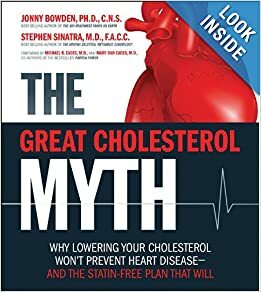 If you answered yes to any of these questions, I encourage you to consider the work of Uffe Ravnskov, MD, PhD, author of The Cholesterol Myths : Exposing the Fallacy that Saturated Fat and Cholesterol Cause Heart Disease. I consider Dr. Ravnskov to be the world’s leading expert on the relationship between cholesterol and human health. The amount of cholesterol that your liver produces varies according to how much cholesterol you eat. If you eat a lot of cholesterol, your liver produces less. If you don’t eat much cholesterol, your liver produces more. This is why a low cholesterol diet does not typically decrease a person’s blood cholesterol by more than a few percent. What follows are my personal guidelines on monitoring cholesterol, based on the research that I’ve done on this issue, and evaluating the blood test results and health of hundreds of people I have worked with over the past several years. Ideally, it’s best to have a blood cholesterol level of over 150 mg/dL (3.9 mmol/L). But if your blood cholesterol level is lower than this, so long as you are eating a nutrient-dense, plant-centered diet and not suffering from any health challenges, there is likely no cause for concern. Ideally, it’s best to have a triglyceride/HDL ratio of 2.0 or lower. If your HDL/total cholesterol and triglyceride/HDL ratios are in the ranges listed above, and you are eating mainly undamaged cholesterol, having a total cholesterol of more than 200 mg/dL (5.2 mmol/L) most probably isn’t a cause for worry. In fact, even people whose genetics cause them to have total cholesterol above 350 mg/dL (9.0 mmol/L) have been shown to have no elevated risk of heart disease as long as their ratios are fine and they stay away from eating damaged cholesterol. Please note: Some organizations cite various studies that indicate that low-fat and low-cholesterol diets are healthier than diets that include generous amounts of healthy fats and undamaged cholesterol. The problem with these studies, as I see it, is that they don’t make a distinction between damaged vs. undamaged fat and cholesterol. And this is an extremely important distinction; there’s a huge difference between eating lightly cooked organic eggs vs. a well done steak several times a week for many years. For more information on Dr. Ravnskov and his book, you can visit http://www.ravnskov.nu/cholesterol.htm. Tagged cholesterol, heart disease, saturated fats, statins. Bookmark the permalink.